Common Ground has teamed up with Turning Point Farm to help CSA members find interesting ways to enjoy their weekly or bi-weekly vegetable shares this season. If you’re a Turning Point CSA member, these recipes and kitchen tips will be particularly timely and helpful. And if you’re not a member, these posts feature seasonal veggies you’re likely to encounter at local farmers markets and in stores. Check them out! Did you get the email about what was in your CSA box this week? I didn’t, so I’m winging it here, looking at some very leafy kale, a gigantic head of lettuce, a cluster of fat round radishes, more of those mile-long green onions, a very fragrant bundle of cilantro, and another watermelon-sized head of napa cabbage. Sound about right? The first place I’m going to send you is Cookie & Kate, for their 15 Delicious Kale Recipes. 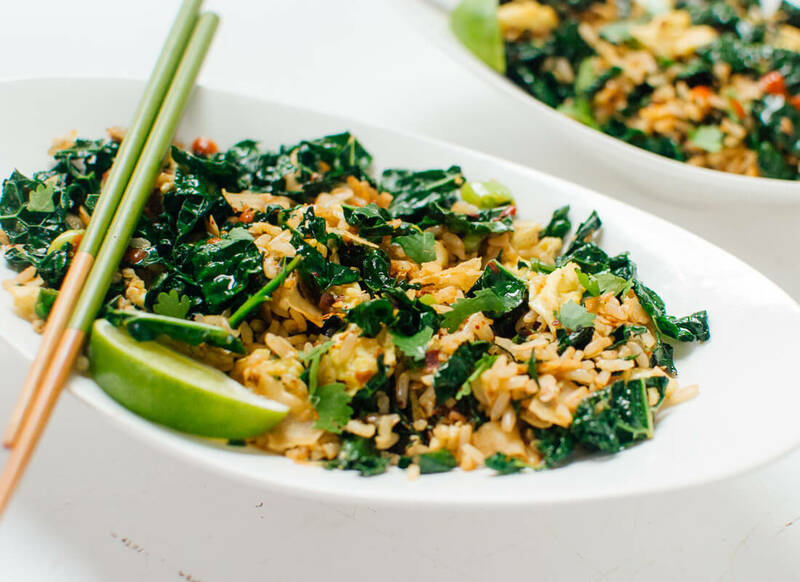 Be sure to investigate this Spicy Kale & Coconut Stir Fry. It not only puts your kale to good use, it also includes that cilantro and those mile-long green onions. Do you ever wish there were things you could do with lettuce that didn’t involve salad? The Kitchn has some ideas. Ten of them, in fact. Yes, that’s lettuce in that soup. And radish. Radish, I say! And if those ten ideas don’t fire you up, Honest Cooking has a few more. Including another lettuce soup, courtesy of Serious Eats. One last recipe roundup, this one for those of you who are looking at this week’s napa cabbage and wondering what on earth. Here are Ten Napa Cabbage Recipes just waiting to work their way into your heart. Go make these right now. Okay? Okay.